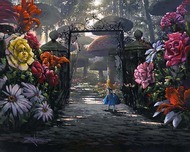 Alice in Wonderland is a 1951 animated feature film produced by Walt Disney Productions and originally released to cinemas on July 28, 1951 by RKO Radio Pictures. 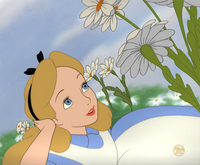 Alice in Wonderland is the thirteenth animated feature in the Disney animated features canon. 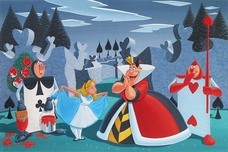 Lewis Carroll's books Alice's Adventures in Wonderland and Through the Looking-Glass have been frequently adapted for film; this adaptation solved the problems of the setting by using animation. 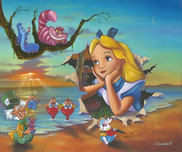 The film, "Alice in Wonderland" features the voices of Kathryn Beaumont as Alice (she would voice Wendy Darling two years after the film's release) and Ed Wynn as the Mad Hatter. 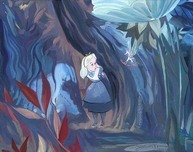 Made under the supervision of Walt Disney himself, Alice in Wonderland and its animation elements are often regarded as some of the finest work in Disney studio history, despite the lackluster, even hostile, reviews it originally received, especially in the UK. 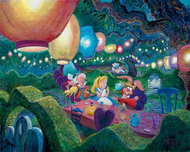 Remember every time you purchase Alice In Wonderland artwork over $995, shipping is FREE in the continental U.S. and there is NO SALES TAX when you purchase outside of Colorado. 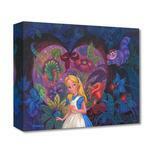 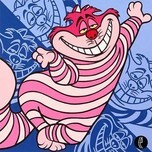 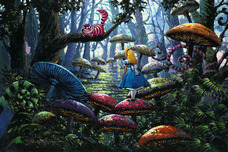 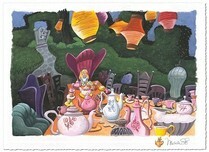 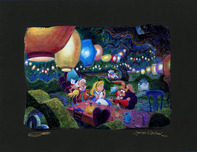 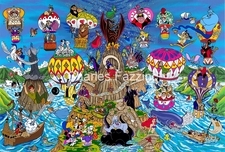 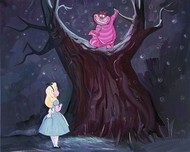 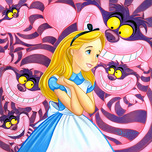 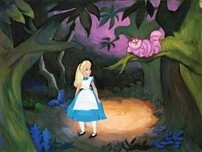 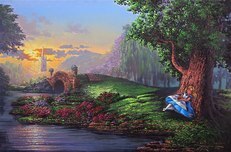 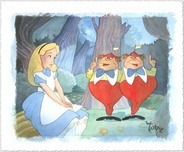 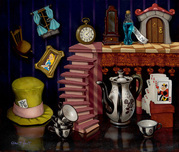 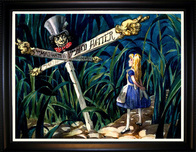 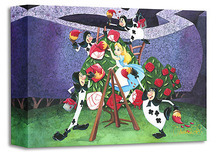 We SHIP WORLDWIDE and offer Layaway for Alice In Wonderland art.